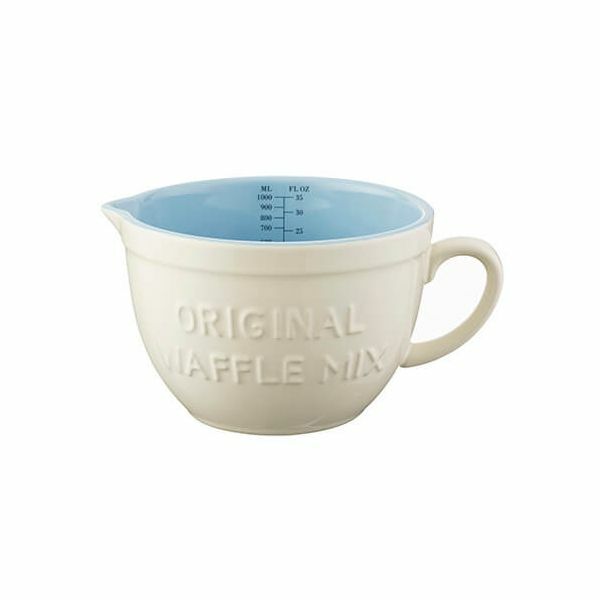 This Mason Cash Baker's Authority Measuring Jug is made from chip resistant stoneware and has a 1L capacity. 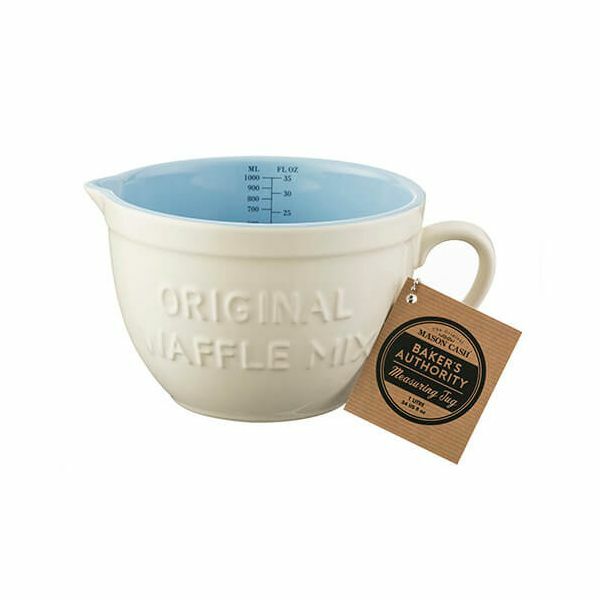 The inside of the jug has both metric and imperial measurements and the exterior features an embossed 'Original Waffle Mix' slogan. Dimensions: L 20cm x W 15cm x H 10cm. Microwave and dishwasher safe. Part of Mason Cash's Baker's Authority range that pays homage to the British post war home bakers of the 1940s and 50s. 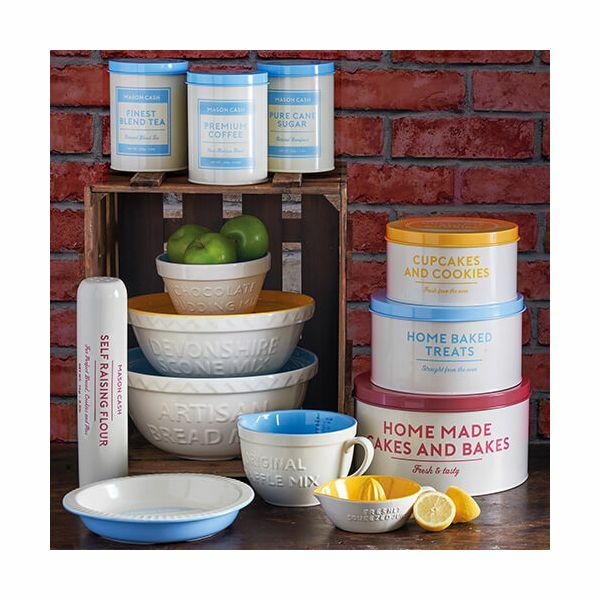 The use of bold colours and fonts will add style, colour and impact to any kitchen and the range of tin storage, oven to tableware and food prep gets its inspiration from the rationing packaging of that time when resourcefulness was the order of the day.